If you are looking for healthy low fat summer veggie options then you might want to pair these three together. 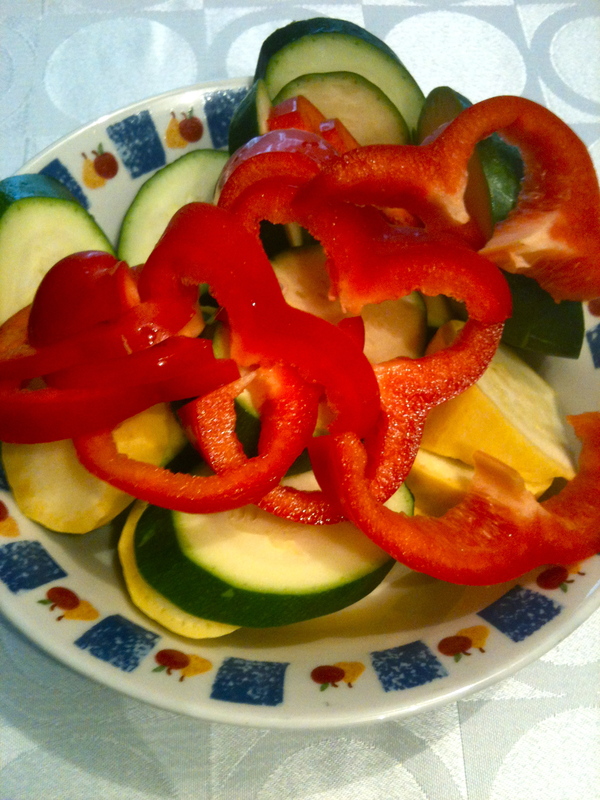 The fresh summer squash both yellow and green with the sweet red peppers makes a wonderful and healthy combination. Quickly slice them up and pan saute them for 1-2 minutes per side for a delicious veggie dish filled with nutrients. Leaving them al dente and still crisp will keep the bulk of their nutrients intact while keeping your cooking time down this summer. This goes great with quinoa as a perfect filling meal. You can pair it with just about any other main dish for a great combination of taste and texture.